Curved ends add an intriguing design element to this industrial style low bookcase. 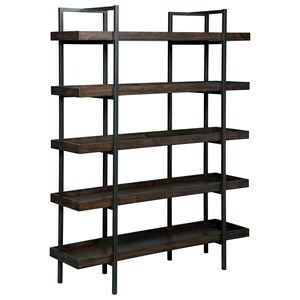 It features three solid wood open shelves in a gray wash finish with a gunmetal finish metal frame. This piece is perfect as a console or bookcase in any living space in your home. 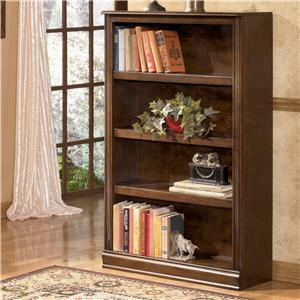 The Flintley Industrial Solid Wood/Metal Low Bookcase with Curved Ends by Signature Design by Ashley at Beck's Furniture in the Sacramento, Rancho Cordova, Roseville, California area. Product availability may vary. Contact us for the most current availability on this product.